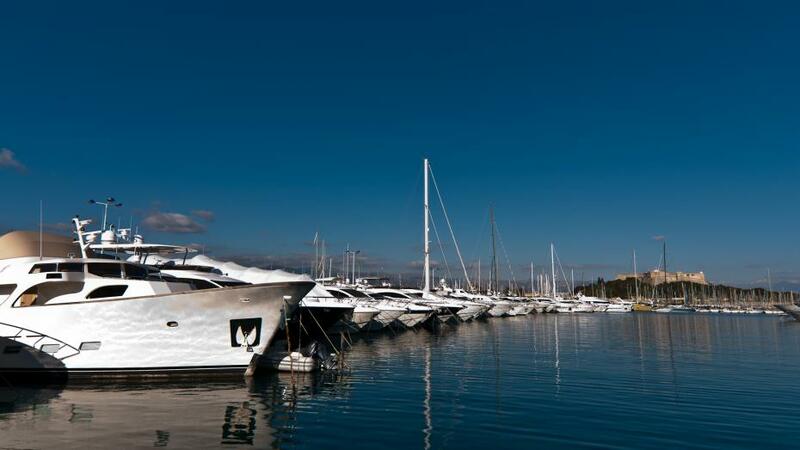 Yachts moored in the harbour of Antibes (de) at the Côte d’Azur (de) in winter. The port was the old center of the greek city of Antipolis and has room for over 2000 boats, yachts and even ships with a length of more then 100m and the height of a 5 story building. According to locals the waiting-time for a mooring is over 10 years and people are reluctant to let go, even when that means living on their boat instead of a flat. Even in late December temperatures reach 15+ degrees Celsius. The wind might be cold sometimes, but the sun has enough power that people can take a dip in the Mediterranean Sea (photographers note: not advisable when you already have a light cold…).